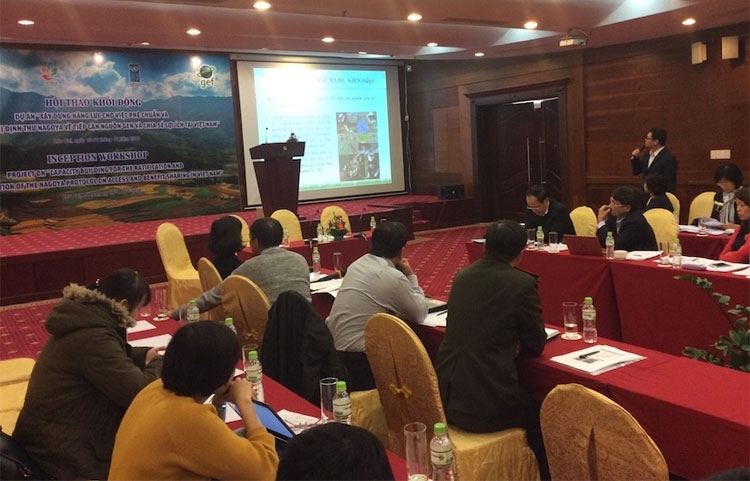 A conference was held in Lao Cai northern province on December 15 to discuss preparations for a project on building Vietnam’s capacity for ratifying and implementing the Nagoya Protocol on Access to Genetic Resources and the Fair and Equitable Sharing of Benefits. Director General of the Vietnam Environment Administration Nguyen Van Tai said after the Nagoya protocol took effect in 2014, the Ministry of Natural Resources and Environment and the UN Development Programme (UNDP) have worked together to design the project. The project will be carried out over four years with a total budget of 12.5 million USD. The Global Environment Fund will provide 2 million USD through the UNDP and the remaining will be funded by the Vietnamese government and technical assistance from international organisations. Dr. Nguyen Van Tai said the project was created in order to build a legal corridor for the fair sharing of benefits of genetic resources between Vietnam and those who wish to access the country’s genetic resources. The project’s main goal is to assist with the building of relevant policies on the management of access to genetic resources and the fair sharing of benefits in Vietnam. It will also pilot models of using herbal genetic resources and traditional knowledge on health care of the Dao Do ethnic tribe in Lao Cai Province. Participants at the conference heard and contributed their feedback on a report on the project and a plan for the project’s implementation. Vietnam is ranked 16th in the world in terms of bio-diversity.